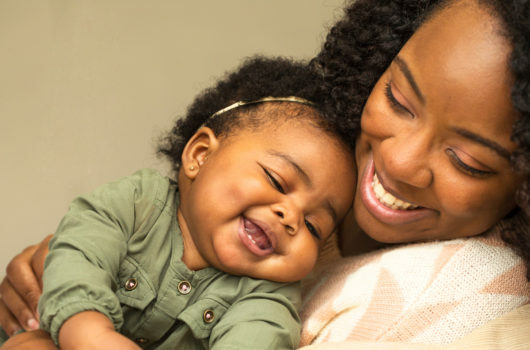 Sweeping federal family leave legislation, an economic issue that gained new life when President Obama acknowledged its significance during this year’s State of the Union address, has both short- and long-term benefits for individuals, families, and society as a whole. Those benefits include better health outcomes for both parents and children. Conversations about the need for more comprehensive maternity leave policies, however, rarely seem to include solutions to the issues facing pregnant and parenting students, despite the fact that they are at great risk of staying in poverty because of how little support teen parents receive from the people in their communities and their lives. Excused absences for such appointments, along with frequent breaks during the school day, while protected under Title IX, are not without consequences at schools with staunch rules. Some schools have been called out for zero-tolerance teen pregnancy policies; teens have been expelled after being forced to take a pregnancy test. Once the parent gives birth to their child, they will spend many late nights up with their newborn, while also coping with engorged, sore breasts in school, whether or not they decide to breastfeed, with virtually no access to a safe, clean space should they need to pump breast milk. And that’s not to mention the amount of time and resources required to make and keep safe and affordable child-care arrangements. The limited number of allowed absences run out quickly for new parents before they suffer the consequences of academic pushout and/or expulsion. Comprehensive maternity leave policies for pregnant and parenting teens are needed to support academic attainment. New research shows that these types of experiences for pregnant and parenting teens are not uncommon. A recent report from the African American Policy Forum and the Center for Intersectionality and Social Policy Studies found that pregnant and parenting female teens in high school are often pushed out by school faculty and staff for a variety of reasons, including but not limited to stigmatization, lack of child care, strict attendance policies, unsafe campuses (resulting from school fights, forceful school resources officers, and bullying, among other reasons), and ill-equipped administrators. Pregnant and parenting teens say that becoming pregnant and having their children increased their desire to continue and complete their education. However, educational pushout makes this a near-impossible goal to achieve. This form of educational pushout creates a pipeline from school to deeper poverty for pregnant and parenting teens and their families. Being that educational attainment has been cited as one of the best ways to overcome poverty, and that poverty is one of the leading causes of teenage pregnancy, educational pushout has long-lasting effects for new parents, their children, and society at large. Educational pushout perpetuates the cycle of poverty. Thankfully there are some nonprofits and educational programs that see the unique needs of teen pregnant and parenting students and have established targeted and holistic approaches to addressing these needs. There’s Alley’s House, a Dallas-based nonprofit that provides pregnant and parenting students alternative educational services, with specialized attendance policies, and other programs designed to influence their physical, mental, and emotional well-being. And New Mexico Graduation, Reality, and Dual-Role Skills (New Mexico GRADS) has a ten-point curriculum that, like Alley’s House, tackles each of the various barriers pregnant and parenting teens will face. Maternity leave laws for pregnant and parenting teens help ensure they are able to stay in school, graduate, and pursue higher education, like in the case of Karina Rodriguez. Rodriguez’s son had health problems early on, which meant she had to be absent from classes to take him to necessary appointments. As a result, the school told Rodriguez she was going to be disenrolled from school because she had missed too many school days. Fortunately, under New Mexico’s parental leave law, she was able to take advantage of the extended amount of absences allotted to her and stay in school. She has since graduated high school and is enrolled at Central New Mexico Community College. Maternity leave laws for teenage parents provide additional time for the new parent to establish healthy school-work-life balance early on, which could help reduce the disproportionately high rate of postpartum depression that pregnant and parenting teens experience. We also saw legislators in Massachusetts introduce HB 525 in 2014, which would allow teen parents to take family leave without educational punishment and would establish liaisons who would work with parenting students to ensure they graduate on time. And at the national level, Sen. Tom Udall (D-NM) and Jared Polis (D-CO) introduced the Pregnant and Parenting Students Access to Education Act in 2013. Widely supported by advocates, the act called for a federal policy requiring states to support pregnant and parenting teens while they meet their education and parenting duties. But introducing legislation isn’t enough. As President Obama said during his State of the Union address, “It’s time we stop treating child care as a side issue … and treat it like the national economic priority that it is for all of us.” Holding teen parents behind hurts our economy. Moreover, students shouldn’t be pushed out, stressed out, or punished for wanting to pursue an education while parenting. The cycle of poverty among teenage families must end. It’s up to all of us to ensure the needs of teenage parents are acknowledged in conversations about maternity leave policy.